It’s a hard balance to strike when trying to captivate an audience with your Instagram captions and photos. On one side of the spectrum, you want the world to note how your subject looks through your personal lens. You want the world as your audience to feel what you feel and think what you think when you look at the photo. On the other side of the spectrum, you want to tell the world through a brilliant caption for your photo. After all, the caption is everything. Imagine looking at three different kinds of cheese. Let’s say, for the sake of this example, that the cheeses in front of you include Havarti, Gouda, and Brie; all of which are very different. Because the cheese is physically present with you, you can taste the cheeses and know why they are different. Now let’s say you want to post a picture of the cheeses on Instagram. How are you going to tell everyone else, or even your own mother, just what makes them different through a picture? You do it through your caption. Here’s how to come up with the best captions for describing even the most seemingly dull subjects. 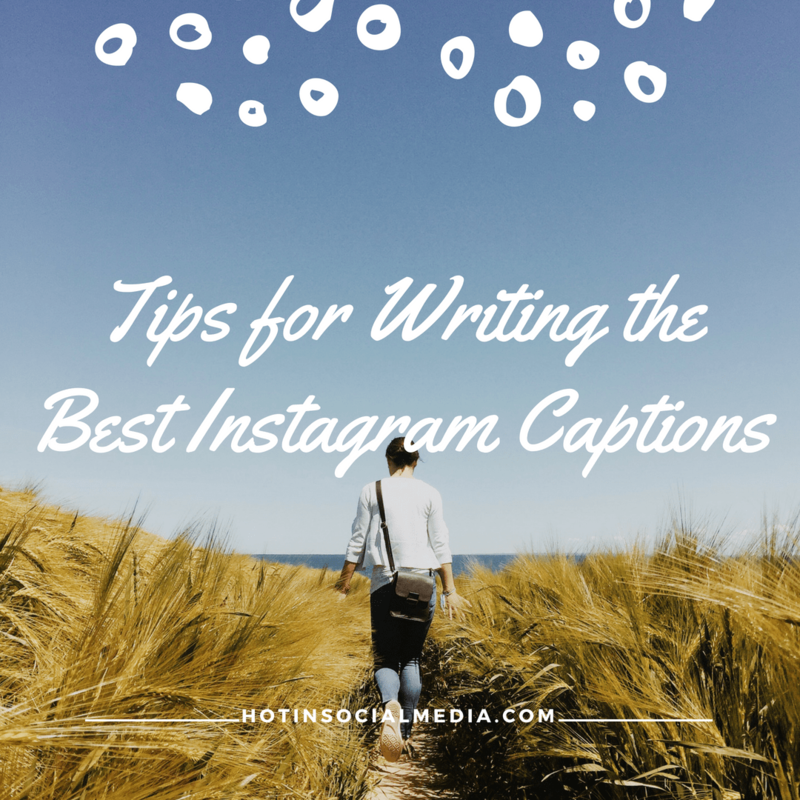 Many users neglect the importance of Instagram captions and thus pay little thought and attention to it before uploading their post. Why? Because Instagram is, in fact, a visual platform focused on visual content. Have you ever tried sharing a post on Instagram consisting solely of text? On the contrary, have you ever tried sharing a photo on Instagram without any text? This goes to show that visual content is the most important element on Instagram. But despite the fact that Instagram is a social media platform driven by visual content, neglecting the Instagram captions is a big mistake. Your captions help add context to your posts so your audience can get a greater understanding of what it is you are trying to mediate to them. A picture says more than a thousand words, but it is only with the help of an Instagram caption that you can make your post sing. While your photos on Instagram are the single most important part of a successful Instagram strategy, and the differentiating factor between rising to the top or getting lost in the noise, it is with the caption you can tell your audience what you can’t with your image. It is with the caption you can encourage them to take action, showcase your personality, and engage with your audience. Remember that Instagram is a social media platform, and it’s called social for a reason. It is with your captions that you can start a conversation with your audience and engage with them in a way that just isn’t possible with only a picture. Think about it: How many times have you scrolled in your Instagram feed, seen an appealing picture, started reading the caption, and then become impacted by the message conveyed? I’d dare to guess a lot, and this just goes to show just how powerful Instagram captions are. Despite this, many users treat them as an afterthought, while spending an immense amount of time on the photo itself. Think of the photo on Instagram as the outfit and the caption as your accessories. It is the accessories that complement and truly make an outfit shine. Crafting a great Instagram caption is an art, and in order to write successful Instagram captions that help empower the message you’re trying to convey through your post, you need to invest a bit of thought into it. 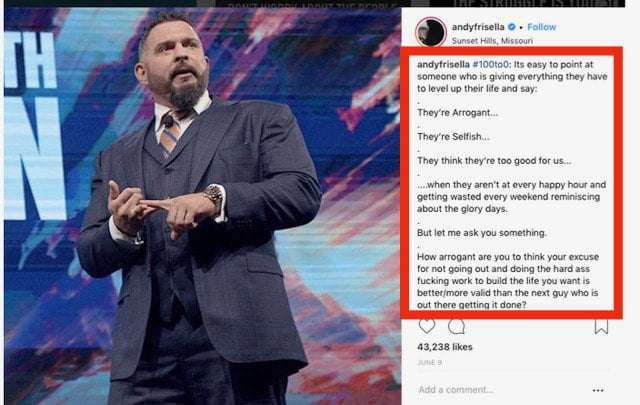 Think about all of the Instagram accounts that you consider successful. Now, look at their captions. Does it look like something they’ve written in a few seconds, or is it something they’ve invested time and energy into? It’s most likely the latter, and that’s because it doesn’t make sense to spend countless of hours creating the perfect image, but then paying no attention to the caption. It is always the unity that matters and that will be remembered. Let’s dig into how you can craft the ultimate caption. Always begin with the goal in mind. You always have a goal with the image that you’re going to share, whether it be to brag about your amazing vacation to your friends or to sell the new sneaker that you’ve just launched. This is the reason why you’re sharing the image in the first place. As such, you want to make sure that the caption supports, empowers, and strengthens that goal. If you pay attention to the captions of some of the most successful Instagram accounts, you’ll notice that all of them does this. Before they write the caption, they ask themselves ”okay, what am I hoping to achieve with this image?” and then reverse-engineer that to create a caption that will help them achieve that goal in a better manner. Of course, there are many different approaches to the same objective, and the way you are going to tackle it depends on you, your target audience, and rhetoric, which I’ll go into in the next point. 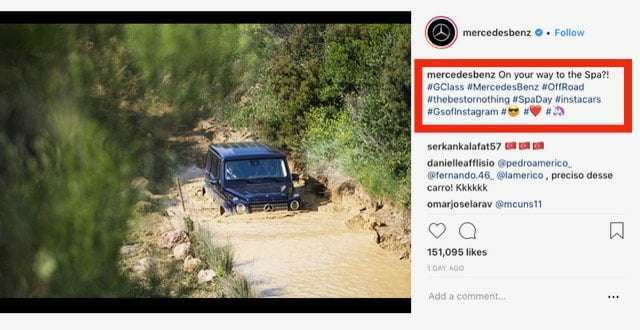 For example, if your goal is to sell something, one way could be to use the Instagram caption to simply write ”New product out, buy now!”, or, you could take a completely different approach and use storytelling to captivate your audience and immerse them into a story which makes them want to buy – without explicitly asking for it. This is the single most important ingredient to writing a successful Instagram caption, and the reason is that it can be the difference between grabbing your followers’ attention and successfully convey your message, or them continuing to scroll their feed and going on with their lives. Different people relate and resonate with different things, and this is why it’s so crucial to know what your target audience resonates with. A great example is Wendy’s. 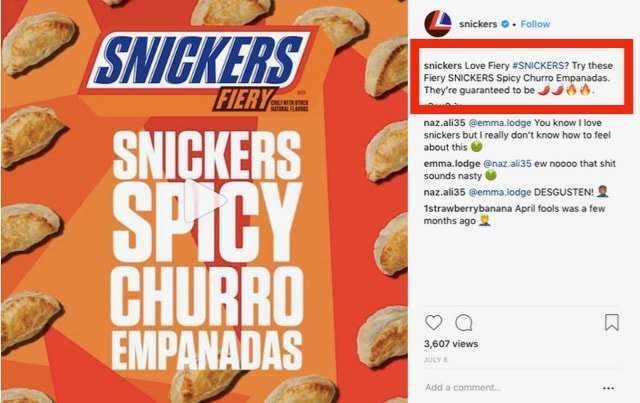 Wendy’s has identified their target audience on social media, identified which voice and language they speak in, and then reverse-engineered that into their own brand voice on social media. The result is Instagram captions that speak to their audience and sparks their audience’s interest. Your audience is scrolling through what could be hundreds of photos in a very short period of time. Your window of opportunity for getting their attention is very limited. Make the most of the time with a caption that can be read in just a few seconds. The last thing you want is for them to take one glance at your picture, barely notice it and head off to their HydroWorx Fitness Pool without even really looking at what you were trying to communicate. Brevity is your friend in a caption. Think one sentence. Think simple. Think focused. 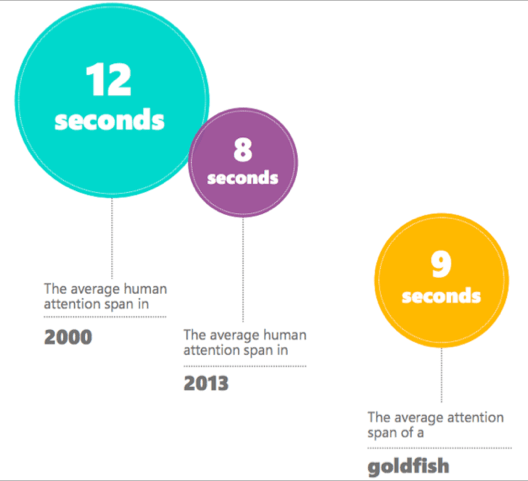 We constantly hear that our attention span is getting shorter and shorter. In fact, a study by Microsoft has found that the average human attention span now is shorter than of a goldfish. When it comes to social media, this is by no means strange, because we’re bombarded with information on social media, and in order to consume even just a fraction of it, we need to do so quickly. As such, you need to craft your Instagram captions to be able to be quickly consumed, in other words, get straight to the point, because otherwise, the chances are that they’ll just continue scrolling. Since your caption consists of text, this is especially important considering the fact that the brain processes visual content 60,000 faster than text. Back to the point of starting with the goal of reverse-engineering. The idea of using a call-to-action is so simple, yet it has proven to be so immensely effective. As an example, AdRoll found that adding CTAs to your Facebook page can increase the click-through rate by 285%. While this isn’t Facebook, it goes to show just how effective CTAs are, and considering how easy they are to implement, you’re really missing out on a tremendous opportunity if you aren’t leveraging it. 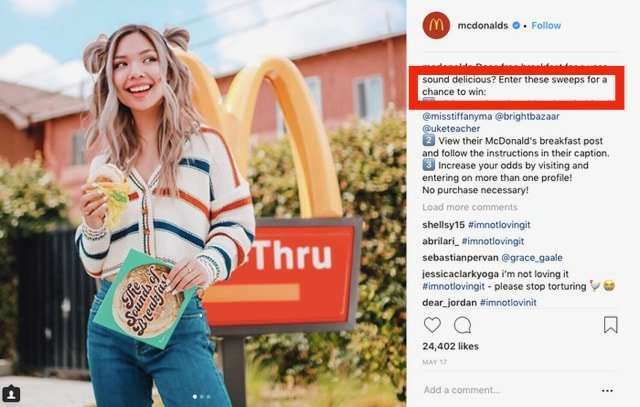 You’ll often see call-to-actions when there’s a commercial intent behind the action, but what’s so great about CTAs is that they’re universal and can be leveraged in so many ways, whether it be to ask your audience to simply ”like” your post, ”share their opinions” buy from you, or enter a sweepstake, like McDonald’s. If you’re looking to drive traffic back to your site CTAs tend to be one of the most effective tactics to do so due to the fact that there is no way to include clickable links in your captions. Where you can include a clickable link, however, is your profile bio, and this is why you often see people using the call-to-action ”Click the link in our bio”. Let’s go back to the cheese example. I’m sure you were hoping I was done with that sample, but it’s a perfect illustration of a not-so-thrilling topic that can be made interesting through a fun and witty caption. For example, for the photo with a half round of Gouda replacing your own smile, you could say, “This Gouda is good-a!” It’s cute, simple and a product of witty genius. The point is that you don’t want to be filling up everyone else’s phones with a picture of a dead leaf and say in your caption that the leaf is dead. That would be rather dull, right? Emily Vanderbeek of Independent Fashion Bloggers has some great examples of how to make your Instagram Captions less dull and more follow-worthy. So the next time you’re working up a new photo and trying to create a caption that will capture the attention of your followers, consider who it is you’re talking to, what it is you want to say in just a few words and how you can say what you mean in a way that is inviting and fun. May your captions be full of less snoring and just a hint more cheese. Social media is all about being social, and this is something that is easy to forget when you’re sharing photos on Instagram that’s all about you all day – whether that be selfies of yourself or posts about your products and business. It’s no news that social media is a tremendous marketing tool for helping you achieve marketing results, but what has proven to be far more effective than having a ton of followers to drive those results is to have an engaged and loyal audience. To build customer relationships and making your audience loyal fans of you or your brand, there are no shortcuts. The only real way to build relationships with someone is through consistent interaction and engagement. What does this have to do with Instagram captions, you ask? Well, in order to start a conversation and an interaction, one part has to take the first step. A terrific way to do just that is to ask questions in your Instagram captions. Doing this has a number of benefits. First off, it shows your audience that you care about them and that your Instagram isn’t just focused on you. Second of all, and most importantly, is that you encourage people to respond. When they respond to your question, you have a tremendous opportunity to continue the conversation and thus build and strengthen your relationships with your audience. In the long run, this loyalty will turn them into advocates of your and your brand. While ideally, you should keep your caption short and to the point, it’s not always possible if you want to tell a story or include a lot of information that demands some length to your caption. What tends to happen when you write longer captions is that fewer people will take the time to read it (surprise), but those who do tend to get impacted much deeper, and become much more engaged in the message you’re conveying. What you should do, however, when writing longer captions is to split them and make them as readable as possible. Doing this will increase the number of people who complete the whole text from start to finish, as well as the number of people who even start reading. It’s not very inviting, is it? Another is to replace those dots and use emojis instead. Emojis are incredibly effective to use in your Instagram captions. Why? First off, they are colorful and make your caption stand out. This will ultimately spark people’s interest and get them to start reading. Second of all, emojis are the only type of visual content that you can use in your Instagram captions, and you remember how humans love visual content, right? Furthermore, since you want to keep your Instagram captions short and to the point, and a picture says more than a thousand words, using emojis allows you to say more to your audience than the text that you’re writing. Awesome, right? Emojis also help make you more human since they allow you to mediate emotions in a different way than with text. Some brands are afraid that using emotions will make them come off as unprofessional, and that might have been the case back in the days, but in today’s society, emojis are used so extensively across all age groups that you don’t have to worry about that as a business. Not even if you’re a banking firm. Emojis are a universal language that everyone speaks.